Recently I pick a cookbook from my bookshelf and sit on my sofa reading. Nothing out of the ordinary, this is something I’ve been doing constantly for years now. What has changed is the theme of the books I choose. Until a few months ago I would pick books written by great foreign authors like Ottolenghi, Donna Hay or Elizabeth David as a ticket for some exciting armchair traveling. 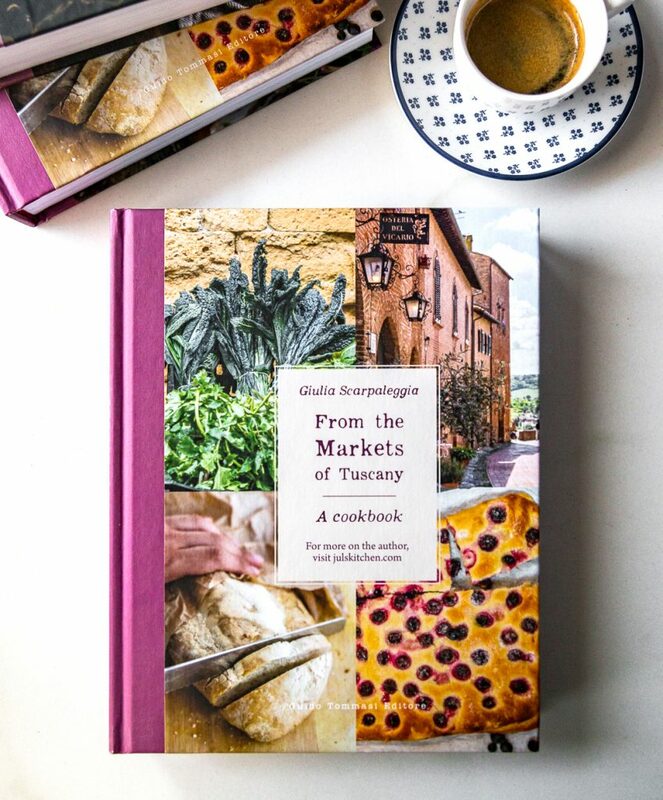 Now I choose more and more often books regarding Tuscan cooking: when I say Tuscan cooking I don’t mean general regional cuisine, but recipes and books about specific areas of my region. If you want to understand how vaste and charming Tuscan cooking is, you should consider those books. If you put your hands on a book about Lunigiana, you will read stories of a different world, then you pick up a book about Maremma and again you are overwhelmed by the feeling of having traveled through time and space. The names of the recipes are familiar, but then you find out ten alternative versions of the same dish, and you would be ready to cook them all, if only to see how much difference it can make to put basil in the battuto to make acquacotta. The interesting aspect of reading these books is that you will find timeless recipes made with simple ingredients that you definitely already have in your pantry. How many variations exist of a cookie made with eggs, sugar and butter? Virtually endless. Yesterday, reading for the umpteenth time Aldo Santini’s Cucina fiorentina, I decided to try a new version, zuccherini di Vernio. These are sugary dry cookies, old-fashioned scented with aniseeds. Zuccherini can be found just in the Upper Valley of Bisenzio, where Vernio is, a town in the province of Prato. Hence these are competitors of the most popular biscotti from Prato, cantuccini with almonds, which surely you have already heard of, or even dunked in a tiny glass on vinsanto. As for the cantuccini, a double cooking is required also for zuccherini: cantuccini are baked twice, first as a log, then as a biscotto, cut side down on a baking tray. 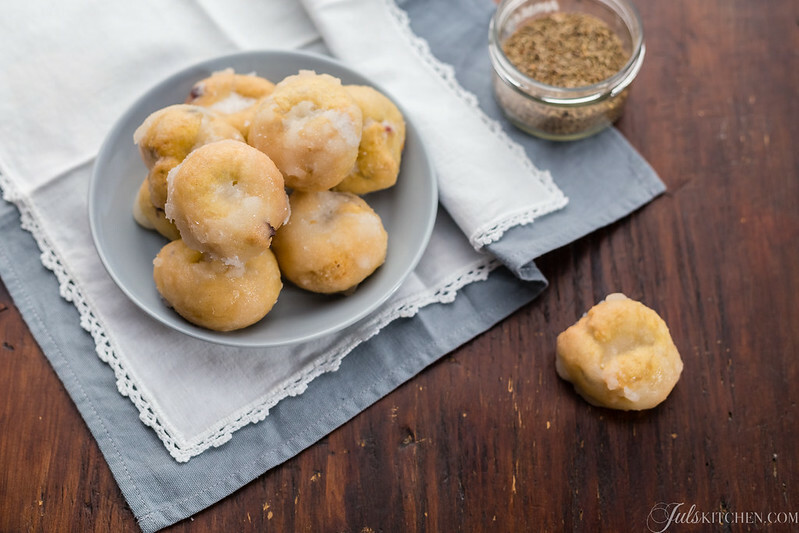 Zuccherini are instead shaped as a small doughnut and first baked in a hot oven, where they swell so much as to almost lose the central hole, then immersed in a thick sugar syrup which will coat each cookie in a crisp white glaze. They take their name from this white pale glaze, as zuccherini refers to their sugary aspect. 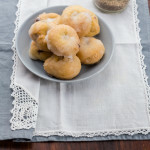 The dry texture and the pale glaze make them long-life cookies: as all the dry biscuits, they are also meant to be dunked in Vin Santo after a meal, but also in milk or coffee to enrich a breakfast or an afternoon snack. The huge amount of sugar required for glazing, which once was melted in copper pots, labels them as luxury cookies: in the Valley of the Bisenzio they were also considered wedding treats, as their shape reminds a wedding ring. Forgive me for the huge amount of eggs and sugar, these are old time cookies. As I was gathering all the ingredients I decided to add also a handful of dried cranberries to cut down the sweetness and add a fresh tart note. Pour the flour on a pastry board and form a well in the centre. Add the beaten eggs, butter at room temperature, sugar, baking powder, a pinch of salt, aniseeds, anise liqueur and at last the dried cranberries. Work quickly all the ingredients with your hands, just enough to have a smooth dough. Aim for an elastic and not sticky dough, so you will be able to shape the cookies with floured hands. Make about 30 doughnuts. 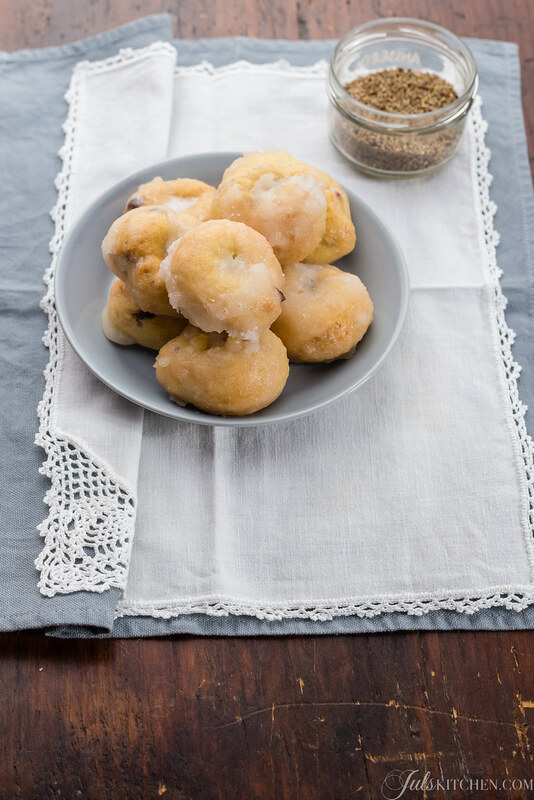 Cover two baking sheets with parchment paper and arrange the doughnuts well apart. Preheat oven to 180°C and bake the cookies for about 18 minutes, until they are just golden. Remove them from the oven and let them cool slightly, in the meantime make the sugar syrup to glaze the cookies. Pour sugar and water in a large pan and heat over medium heat until the sugar is melted and bubbling. Add half of the cookies, let them cook in the boiling sugar for a few minutes until they are covered in a white glaze. Remove the cookies from the pan, drain the excess sugar and let them cool on a wire rack. Add the second half of the cookies to the pan and do the same. Once the cookies are cool store them for days in a tightly closed jar. …and you, how many Tuscan cookies do you know? Tell me your favourites in the comments below! They look delicious — I am looking forward to making them. I do have a question, when you say wheat flour, do you mean “00” or whole wheat, all-purpose flour, bread flour? Grazie per la ricetta! Ciao Marisa, I usually use wheat flour which is not 00 but 1, but you can use 00 or 0 flour is you cannot find the 1! Thank you ! I will make — I love biscotti! !